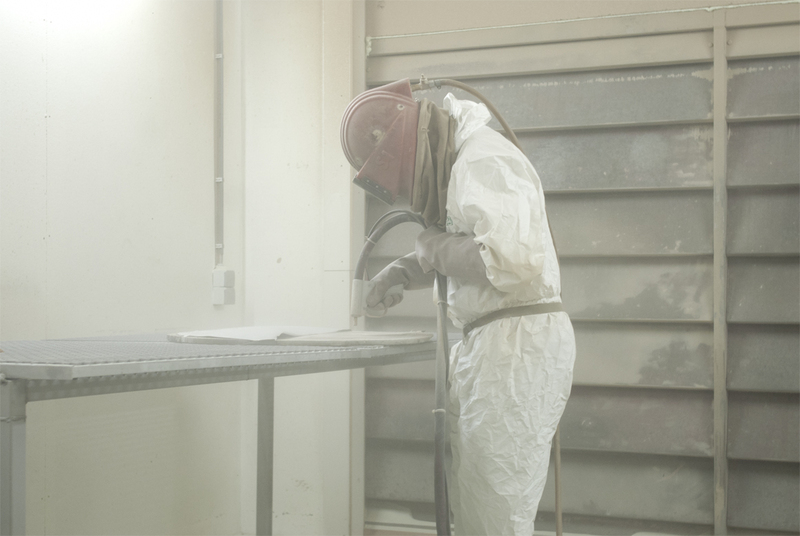 Lex sand blasting a piece of pinewood. It is quite magical to see how the sand erases the wood with seemingly ease. Our session in the sand blasting studio this week left us with some mixed results. Some prototypes turned out absolutely beautiful, others not so much. As we are still experimenting with the material and seeing where it can take us, we won't go as far as saying that we failed - but we definitely have to tackle some unforeseen problems before we make any further decisions on the designs. When a tree dies or is cut off, the wood dries up to twenty percent, and, as a result, starts to shrink. The shrinkage puts tension on the annual rings, which eventually makes them break and open up - this causes the cracks you usually see at the heart of a cross-section of a tree. 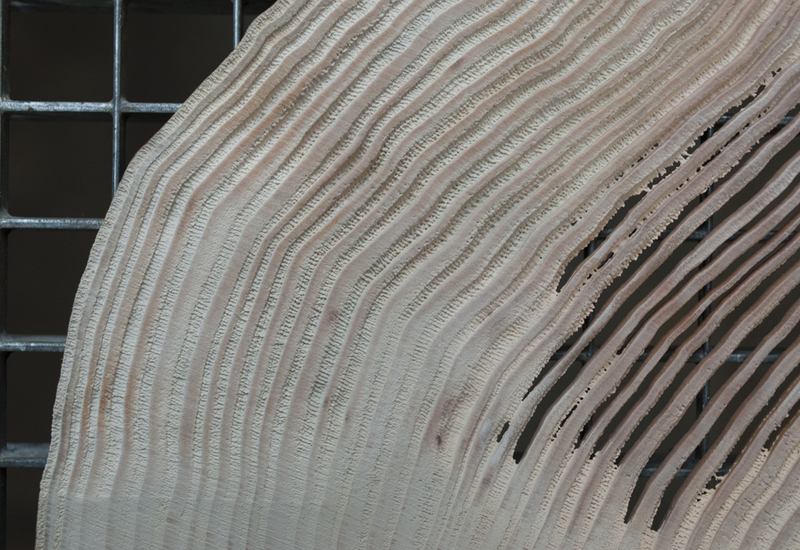 For one of the bigger objects we were planning to make, it was exactly one of those cross-sections that we needed: a thin slice of a tree in which all its annual rings could be seen. We decided to sand blast this piece of wood before drying it to release the tension on the annual rings and prevent them from cracking open. We quickly found out that that wet wood does not go well with sand blasting. 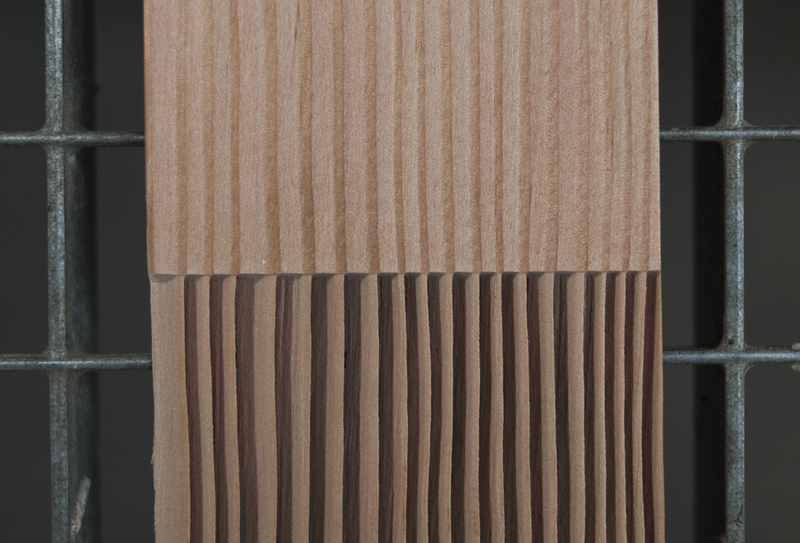 It left the wood - even the harder parts - with a very coarse, uneven finish, which was not the effect we were going for. In this project, the material is determining the choices we make. There is no way around these issues, which is what makes this project so challenging - inventing and trying out new techniques, pushing the boundaries of conventional woodworking. We don't even know what these boundaries exactly are, but if pushing them won't lead to anything, then at least we tried really hard. 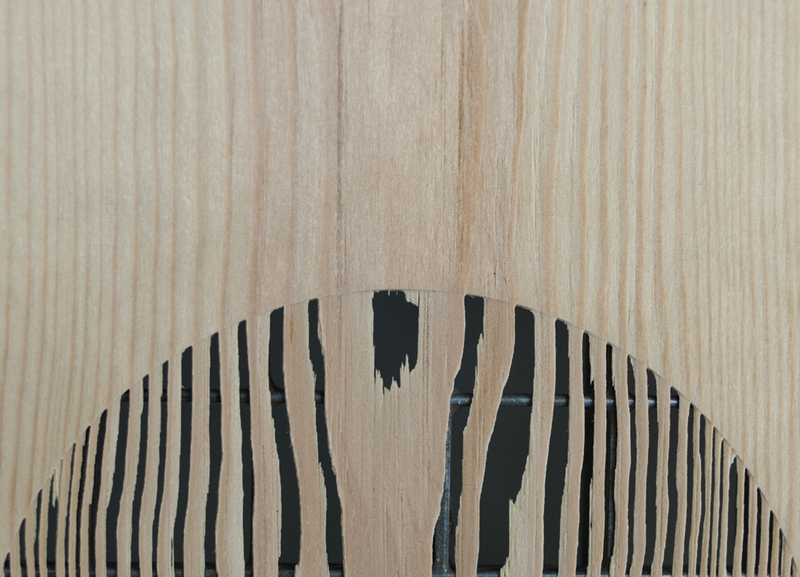 Next week we will go back into the studio to experiment with the wet wood in a different thickness. We are hopeful for a better outcome and will keep you posted on the results.